The main aim of the project was to engage our visitors in the story of the Mallory portrait, owners of the Studley Royal estate in the seventeenth century. We didn’t know an awful lot about the painting – why it was commissioned, who painted it, or the date it was created, so there was a lot of research to do. This family painting is the only one in our collection and it’s in need of repair before we’re able to display it to our visitors. Our plan over the next few years is to restore and conserve it for public view and develop an accompanying exhibition. At the West Yorkshire Archive I was able to handle and photograph original documents relating to the principal sitter in the painting, revealing clues about his motivations for joining the Royalist campaign during the English Civil War. I found colourful maps dating from the period and the original royal warrant from May 1642 commissioning John Mallory to raise a regiment of 800 trained soldiers in the West Riding. The National Portrait Gallery Archive library had a great collection of books on seventeenth century fashions which helped me gather the content for the interpretation panel looking at the clues in the painting. The distinctive collars and sleeve length of the female sitter was particular to the late 1620s onwards and the pearls worn only became fashionable as overseas trade expanded during this period. The hairstyle of the male sitter indicated his political allegiance and helped to pin-point the date further. 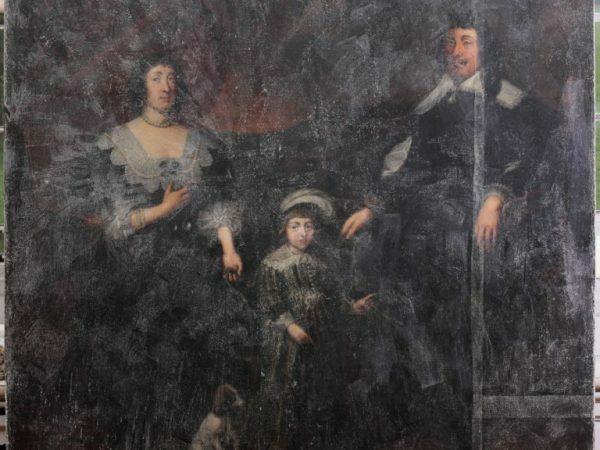 Earlier reports that I found suggested that the child in the painting was Jane; one of John and Mary’s daughters, but from my findings I would doubt this suggestion and instead state that it is William, their only son, who features. The collar, hat, hairstyle, dark colour of the clothing and lack of jewellery indicate masculinity, despite the child’s dress. Unfortunately I was unable to discover who the artist was, but I will continue to look into this as we work on the conservation of the original painting. My research trips to the V&A, the Tate, the National Gallery and National Portrait Gallery were incredibly inspirational. 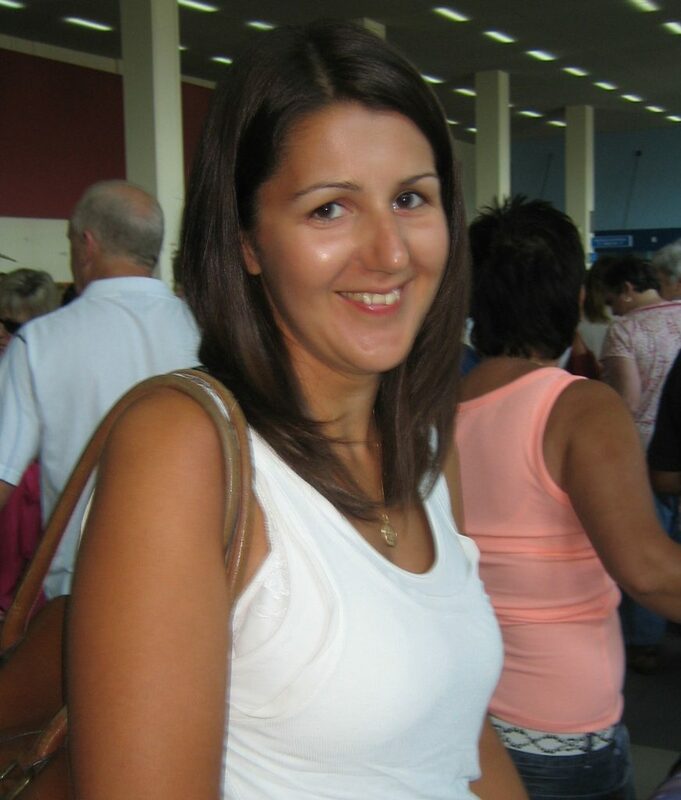 I joined guided tours, attended school workshops and spent time observing other visitors to the galleries. I particularly liked the way the V&A presented a collection of objects, costumes, digital interpretation and panels together to create a visually appealing and interesting display. We wanted to appeal to all our visitors on some level so I chose to develop a range of interpretive techniques. We now have an exhibition displaying a life-size reproduction of the portrait, interpretation panels on restoring the Mallory painting, the story of Sir John and examining the portrait, a video showing painting conservation techniques, costumes of the family members for visitors to try on, and a children’s portrait detective activity sheet. The short topic video clips I saw at the V&A were useful in thinking about simple, visual ways to deliver technical information. We were able to compile a video use existing footage of painting conservation techniques to show visitors the type of work that would be needed to repair our painting in the future, with simple explanatory captions to tell the story. The introduction of background music also gives atmosphere to the exhibition space. Everyone loves trying on the costumes we had made by historical costume designer Meridith Towne and recreating the portrait. We even found a toy dog to pose alongside visitors! We used the colours from the Mallory family crest to produce the signage and interpretation panels for the exhibition, and chose easels to display the information (both as a reference to painting and art, and for flexibility to move the panels around within the space). Having a children’s portrait investigator activity sheet has also helped our younger visitors to start thinking about how portraits have changed over the years and what to look out for in paintings. Before I started work on this project my knowledge of portraits was very limited. The bursary has given me the opportunity to dedicate time and energy into researching an often forgotten generation of owners of the estate and into ways of presenting portraits to a range of audiences. I have really enjoyed focussing on the detail and showing visitors what clues to look for in clothing, jewellery and hairstyles to indicate status, political allegiance and the context of the period – something which helped make sense of the whole picture to me. Working on the project has raised the profile and awareness of the portrait among our stakeholders and visitors; strengthening the case for the restoration works to take place. I’m really looking forward to the next stage in restoring the Mallory painting and making it accessible to all our visitors.